A number of commercial, residential, and industrial sectors in various parts of the world are producing municipal waste. In recent decades, several waste-to-energy processes and technologies have emerged for the conversion of this municipal waste to useful energy, notably electricity, apart from steam and fuels. These unconventional sources of energy are proving to be useful in powering commercial and residential spaces and supplementing the energy requirements of various industries. The intensifying demand for unconventional sources of energy in various developing and developed economies has emerged from the spiraling concern of the rapidly falling levels of conventional sources, such as fossil fuels. In addition, these methods are gaining traction in the proper disposal of a vastly mounting municipal waste in several developed nations. Add to this, the stricter implementation of a number of governmental regulations to manage landfills and the intensifying need for reducing solid waste are notable factors driving the market. Governments in developing and developed regions are offering tax rebates and subsidies to support the application of waste-to-energy conversion technologies in industries. This has offered a robust fillip to the growth of the market. In recent times, the adoption of thermal technology for the conversion of waste to energy has gained traction in various regions. Their flexibility in feedstock requirements is a key factor boosting the popularity of this conversion technology. However, it is proving to be largely inadequate in the variation of efficacy of waste conversion plants since its application leads to variable output. The growing popularity of anaerobic digestion waste to energy conversion process is opening up exciting avenues for market players. In addition, recent research and development activities on the anaerobic production of the energy are positively impacting the adoption of these technologies. The presence of robust waste management systems in developed nations and the government focus on adopting unconventional energy production methods bodes well for the market. Waste to energy involves generation of energy in the form of electricity or heat using municipal solid waste, which is produced from commercial, domestic, and industrial sectors. Several technologies are deployed to compress and dispose waste from various sectors to generate steam, fuel cell, and electricity. While each technology employs a unique course of action, the end product is utilizable for domestic dwellings, commercial spaces, and industries. 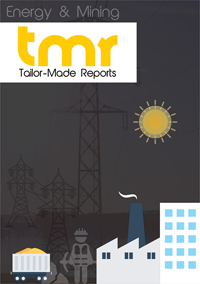 The global waste to energy market is predominantly driven by the need to develop alternate or unconventional energy sources as conventional forms of energy are nearing exhaustion and to safeguard the environment from ill-effects of conventional fuels. Furthermore, several governments around the world are imposing stringent regulations to control production of waste and to control landfill waste. To address this, waste treatment plans have been developed to minimize solid waste to become part of landfills or to be exported to third world countries. The market is anticipated to be further benefitted from incentives offered by governments in the form of tax rebate and subsidies. In recent years, the utilization of thermal technology for conversion of waste to energy has gained prominence over biological technology. This is because the former is flexible in terms of feedstock used in the plant and is advantageous in terms of weight and volume of ash produced from waste. In 2012, thermal technology held a share of 80% in the global waste to energy market. However, thermal technology faces challenges due to the various types of feed that are used resulting in varying output and unsteady effectiveness of waste conversion plants. The adoption of biological technology is also on the rise as it employs anaerobic digestion for converting waste in to energy. This technology is preferred by farmers due to the biodegradability and high moisture content of the process. The development of mega capacity waste to energy plant is in the developmental agenda of several governments around the world for a sustainable ecosystem. In a bid for sustainable economic development along with safeguarding the environment, India’s largest solid waste to energy plant has been developed at Delhi. The project will convert 2,000 metric tonnes of waste each day to produce 24 megawatt of energy. The development of the plant has finally provided a solution to the garbage woes of the capital and some respite to overflowing landfills as it will convert waste to generate energy. Asia Pacific is currently the leading regional waste to energy market contributing a significant revenue to the global market. This regional market is expected to rise further due to improving economic conditions and increasing awareness about safeguarding the environment for humans and for the ecosystem. India, China, and Japan are the major countries that are boosting growth of the waste to energy market in Asia Pacific. At present, Japan has a well-established waste management system for converting waste into energy for everyday operations. On the other hand, rapid economic development in China and India leading to the production of large volume of waste also holds immense potential for the growth of the Asia Pacific waste to energy market. Some of the key players that operate in the global waste to energy market are Suez Environment S.A., Constructions industrielles de la de la Méditerranée, Covanta Energy Corporation, Veolia Environment, Waste Management Inc., C&G Environmental Protection Holdings, and China Everbright International Limited.